Ilocos Sur (Ilocano: Abagatan nga Ilocos; Tagalog: Timog Ilocos) is a province in the Philippines located in the Ilocos Region in Luzon. 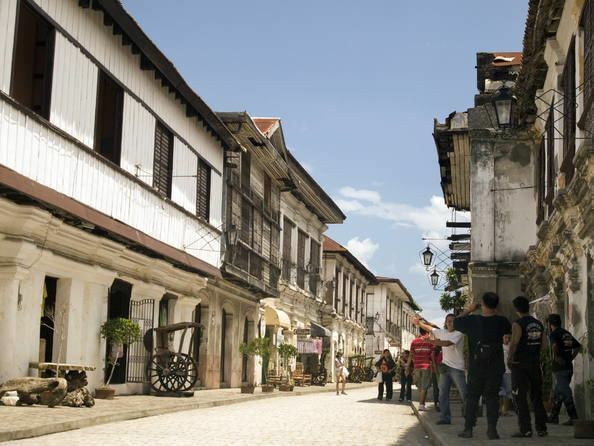 Vigan City, located on the mouth of the Mestizo River is the provincial capital. Ilocos Sur is bordered by Ilocos Norte and Abra to the north, Mountain Province to the east, La Union and Benguet to the south and the South China Sea to the west. Ilocos Sur was founded by the Spanish conquistador, Juan de Salcedo in 1572. It was formed when the north (now Ilocos Norte) split from the south (Ilocos Sur). At that time it included parts of Abra and the upper half of present-day La Unión. The current boundary of the province was permanently defined through Act 2683, which was signed in March 1917. Before the arrival of the Spaniards, the coastal plains in northwestern Luzón, stretching from Bangui (Ilocos Norte) in the north to Namacpacan (Luna, La Union) in the south, were a region called the Ylokos. This region lies in between the China Sea in the west and Northern Cordilleras on the east. The inhabitants built their villages near the small bays on coves called looc in the dialect. These coastal inhabitants were referred to as Ylocos which literally meant from the lowlands. 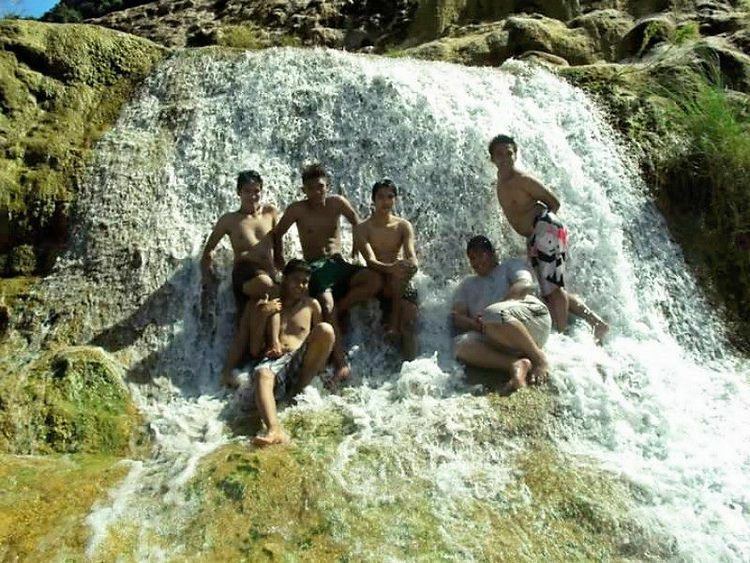 The entire region was then called by the ancient name Samtoy from sao mi ditoy which in Ilocano mean our dialect. The region was later called by the Spaniards as Ylocos or Ilocos and its people Ilocanos. The Ilocos Region was already a thriving, fairly advanced cluster of towns and settlements familiar to Chinese, Japanese and Malay traders when the Spaniard explorer Don Juan de Salcedo and members of his expedition arrived in Vigan on June 13, 1572. Forthwith, they made Cabigbigaan (Bigan), the heart of the Ylokos settlement their headquarters which Salcedo called Villa Fernandina and which eventually gained fame as the Intramuros de Ilocandia. Salcedo declared the whole Northern Luzón as an encomienda, or a land grant. Subsequently, he became the encomendero of Vigan and Lieutenant Governor of the Ylokos until his death in July 1574. A royal decree of February 2, 1818 separated Ilocos Norte from Ilocos Sur, the latter to include the northern part of La Unión (as far as Namacpacan, now Luna) and all of what is now the province of Abra. The sub-province of Lepanto and Amburayan in Mountain Province were annexed to Ilocos Sur. On the northwestern part of Luzon, the Ilocos range restricts a narrow stretch coastal plain throughout its entire length as the home of one of the tribes of the Malay race, the Ilocanos. Gleanings from ancient chronicles such as that of Fray Andrés Carro say that the word Samtoy was applied to ancient Ylokos or to the most important town of the region, where the most important dialect was spoken. The ancient land of Ylokos or Samtoy extended from Bangui in the north to Aringay in the south. Situated between the coast of the South China Sea and the rugged mountain ranges of the Cordillera is a long narrow strip of coastal plain. On the western China Sea side, the land is sandy. On the eastern side, near the slopes of the mountains that separates the region from the Mountain Province, the land is rocky, leaving just a narrow strip of plain here and there for cultivation. In places, the mountains come so close to the sea that the public highway has to wind along the steep mountain and sea. The pressure of increasing population and consequent land hunger has made the people of this region thrifty. The coast of Samtoy, already familiar to Chinese and Japanese traders before Magellan's time, was known to the Spanish colonizers in 1572 when Juan de Salcedo traveled along Samtoy or what is now known as the Ilocos Provinces. Sent by the "Adelantado", Miguel López de Legazpi, to explore the whole island of Luzón, Salcedo founded Ciudad Fernandina in 1574 in the heart of Yloko settlement in Bigan, in what is now Ilocos Sur. It became the center of Spanish rule and influence, and the evangelization and pacification movements. The Spaniards, after Salcedo's exploration, created Samtoy, the whole northwestern region of Luzon into an encomienda with Villa Fernandina at Tamag (Bigan) as the capital. Salcedo was made lieutenant governor of Ylokos and the encomendero of Bigan where he died on March 11, 1576. It was due to his efforts that the settlements in Tagurín, Santa Lucía, Nalbacán, Bantay, Candón and Sinayt were pacified and made to pay tribute to the King of Spain. The evangelization of Ilocos Sur was allotted to the Augustinians who established parishes in Santa in 1576, Tagurín in 1586, Sta. Lucía in 1586, Nalbacán in 1587, Candón 1591, and Bantay in 1590. In 1641 they built a church in Bigan, which 117 years later, was to become the cathedral of the Episcopal See of Nueva Segovia. Ylokos comprised the present provinces of Ilocos Norte, Ilocos Sur, Abra, and a part of Mountain Province. A royal decree dated February 2, 1818, separated the northern section of Ylokos which became the province of Ilocos Norte. The southern portion, called Ilocos Sur, included the northern part of La Union and all of what is now the province of Abra. In 1854, the province of La Unión was created out of the towns that had belonged to Ilocos Sur and Pangasinan. Ilocos Sur previously extended as far south as Namacpacan (in Luna), and the territory south of this belonged to Pangasinan. It was the union of portions of Ilocos Sur from the Amburayan were taken from the Mountain Province and incorporated with Ilocos Sur. Abra, which was part of Ilocos Sur, was created in 1864 with Lepanto as a sub-province to Ilocos Sur, and remained as such until March, 1971 when the passage of Act made it again a separate province. Vigan is almost four centuries old, and was once known as Kabigbigaan from biga (Alocasia Indica), a coarse erect and araceous plant with large and ornate leaves with grows on the banks of the rivers. Its name Bigan was later changed to Vigan. To the Spaniards it was Villa Fernandina in honor of King Ferdinand, the Spanish ruler then. Founded in 1574 by Spanish conquistador Juan de Salcedo as capital of ancient Ylocos, Vigan vied in importance and gentility with the city of Intramuros. Even before Salcedo came to Bigan, the town was already a center of Malayan civilization with a population of 8,000, a population greater than that of Manila then. It was already enjoying some prosperity, trading with the Chinese and Japanese who brought fine jars, silk and crockery through the nearby port of Pandan, Caoayan. In the 19th century, Vigan also traded with Europe. Ships loaded indigo in its port for the textile mills in the Continent. The invention of chemical dyes in Germany ruined this industry. By then, the affluent citizens of Vigan had stocked their homes with statuettes of brass and iron, dinner wares, other artifacts of European civilization, fine ivory and inlaid furniture and China wares. Before Salcedo died in 1576, be bequeathed his encomienda to a selected group who perpetuated the tenancy system from which developed the practice of caciquism and landlordism, and consequently, usury. The aristocracy of the babaknangs against whom the kaillanes rose in revolt in 1762 is apparent. The two sections of the town — one for the meztizos and the other for the naturales are still distinct. These practices became prominent during the indigo boom at the middle of the 19th century. Caciquism, together with landlordism and usury, was the greatest obstacle to the progress of the province. Ilocos underwent the throes of these practices to be what it is today. In the development of Ilocos Sur, the colonizers utilized free labor. Resentment to free labor brought about sporadic revolts, and those who refused to be slaves and tenants left the region and went to Abra and Cagayan Valley. From 1898 to the first decade of the 20th century, covered ox carts moved to the rich plains of Pangasinan, Nueva Ecija and Tarlac. In these travels, the children were amused by the tales of Lamang, Angalo and Aran, Juan Sadot and other legendary Ilocano characters. Folk songs like Pamulinawen, Manang Biday, Dungdungwen Kanto Unay, Unay, and the Iloko dal-lot, to the accompaniment of the kutibeng were popularized. The second phase of Ilocano migration was from 1908 to 1946 when surplus labor hands migrated to the plantations of Hawaii and the American West Coast. At the height of this migration, the average density of population in Ilocos Sur was 492 inhabitants per square mile, the most dense in the Philippines then, excluding Manila. The last batch of labor migration of Hawaii was in 1946 when 7,365 men were recruited by the Department of Labor. Vigan was the recruiting center. 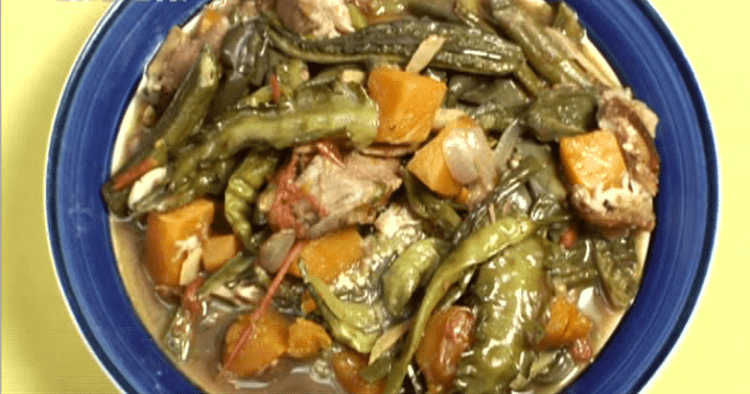 At present, more than seventy percent of the 63,500 Filipinos in Hawaii are Ilocanos. The history of Ilocos Sur, from the beginning of the Spanish rule to the first decade of the nineteenth century was characterized by revolts in protest against tributes and forced labor, as well as the monopolies of some industries. The best known of these revolts was the Ilocos revolt (1762–1763), better known as Silang's Revolt. This was principally a revolt of the masses aimed at the Babaknangs and the alcalde-mayor of Vigan. After Diego Silang's assassination on May 28, 1763, his wife, Josefa Gabriela, continued the fight until she was captured and hanged publicly on September 20, 1763. On September 16, 1817, another revolt resulted in protest against the government's monopoly in the manufacture of basi the native wine. The rebels under the command of Ambaristo were defeated by a contingent of regular troops and recruits. On March 25, 1898, Isabelo Abaya started a revolt in Candón and raised a red flag in the town plaza. The historic Ikkis ti Candon was the start of the several revolutions in the Ilocos Region. Ilocos Sur, like other provinces in the Philippines, was quick to rally behind Gen. Emilio Aguinaldo in the Philippine Revolution in 1896. Upon the capture of Vigan, the revolutionists made the Bishop's Palace, their headquarters. On March 21, 1898, Don Mariano Acosta of Candón established the provincial revolutionary government in that town. When General Aguinaldo returned from his exile in Hong Kong to begin the Philippine–American War, he sent General Manuel Tinio to carry on the guerilla warfare against the Americans. Vigan served as Tinio's headquarters until its occupation by the U.S. 45th Infantry under Lt. Col. Parker on Dec. 4, 1899. On the Tirad Pass in Concepción, east of Candón, General Gregorio del Pilar, covering the retreat of General Aguinaldo to the Cordilleras and ultimate to Palawan, died a heroic death on December 2, 1899 in a battle against the American Forces under Major C. March. With the smoldering embers of the Filipino-American War already dying out, and with the gradual return of peace and order, a civil government under the Americans was established in Ilocos Sur on September 1, 1901 with Don Mena Crisólogo, a delegate to the Malolos Congress, as the first provincial governor. About forty years later, another bloody skirmish took place in Vigan, On December 10, 1941, a contingent of Japanese Imperial forces landed in Mindoro, Vigan, Santa, and Pandan, Caoayan. Four years later, the Battle of Bessang Pass in Cervantes, fought between General Yamashita's forces and the U.S. 21st Infantry was the climax in the fight for liberation. On April 18, 1945, Ilocos Sur was declared liberated from the Japanese with the joint efforts of Filipino & American soldiers including Ilocano guerrillas. The first half of the 19th century was an economic boom for Ilocos Sur and other Ilocano provinces. It was during this period when the cotton, tobacco and indigo industries were encouraged by the government. With the operations of the Real Compañía de Filipinas, the textile industry was developed on a large scale, and the abolition of the tobacco monopoly accelerated economic progress. But the invention of chemical dyes put the indigo industry out of the business scene. Today, the premier money crop is Virginia leaf tobacco. The windfall was brought about by the Tobacco Subsidy Law, authored by Congressman Floro Crisólogo. The 1970s were a dark period for the province as armed men known as the saka-saka (Ilocano, literally "bare-footed") terrorized the province; and this reign of terror resulted in the famous burning of the barangays of Ora East and Ora Centro in the municipality of Bantay. This era ended with the rise of Luis "Chavit" Singson to the governor's seat. Ilocos Sur occupies the central section of the Ilocos Region in northern Luzon. It is bordered by Ilocos Norte to the north, Abra to the northeast, Mountain Province to the east, Benguet to the southeast, La Union to the south, and the South China Sea to the west. Its area of 2,596.00 square kilometres (1,002.32 sq mi) occupies about 20.11% of the total land area of Region 1. The topography of Ilocos Sur is undulating to rolling with elevations ranging from 10 to 1,700 metres (33 to 5,577 ft) above sea level. The climate is generally dry as defined by the Hernandez climate classification—the dry months are from October to May. However, the southernmost portion, Cervantes, is humid and rain is evenly distributed throughout the year while the southeastern part of Sugpon is drier. August has the most rainfall while January and February have the least. The mean temperature in the province is 27 °C (81 °F). January is the coldest. Ilocos Sur comprises 32 municipalities and 2 component cities, which are organized into two legislative districts. There are a total of 768 barangays in the province. The 32 municipalities and 2 cities of the province comprise a total of 768 barangays, with Puro in Magsingal as the most populous in 2010, and Montero in Banayoyo as the least. The population of Ilocos Sur in the 2015 census was 689,668 people, with a density of 270 inhabitants per square kilometre or 700 inhabitants per square mile. The 1960 census lists 338,058 people; 64,446 dwelling units of which 2,974 are lighted with electricity; 3227 provided with radio; 7379 served with pipe water; 25,137 served with artesian and pumped water; and 310 using electricity, kerosene and gas for cooking. Miguel de Loarca records around 1582 that the Ilocanos are intelligent as the Zambaleños for they are farmers. The main occupation of the people is agriculture. Father Juan de Medina noted in 1630 that the natives are ‘the humblest and most tractable known and lived in nest and large settlements'. The province is predominantly Roman Catholic with 75% of population adherence. Aglipayan Church is also a considerable large minority with a 20% adherence. Other religious beliefs are represented by other Christian Churches such as Baptist, Iglesia Ni Cristo, Methodist, Seventh-day Adventist, other Evangelical Christians as well as Muslims. The people are engaged in farming, producing food crops, mostly rice, corn, vegetable, root crops, and fruits. Non-food crops include tobacco, cotton, and tigergrass. Cottage industries include loom weaving, furniture making, jewelry making, ceramics, blacksmithing, and food processing. Ilocos Sur's economy is agrarian, but its 2,647 square kilometres (1,022 sq mi) of unfertile land is not enough to support a population of 338,579. Such agricultural crops as rice, corn tobacco and fruit trees dominate their farm industries. Secondary crops are camote and cassava, sugar cane and onions. The rapidly growing population, the decreasing fertility of the soil, and the long period between the planting and harvesting season, have forced the people to turn to manufacture and trade. Many Ilocanos go to the Cagayán valley, Central Plains and Mindanao to sell Ilocano woven cloth. Weaving is the most extensive handicraft, bolstered by the installation of the NDC Textile Mills in Narvacan which supplies the weavers with yarn. 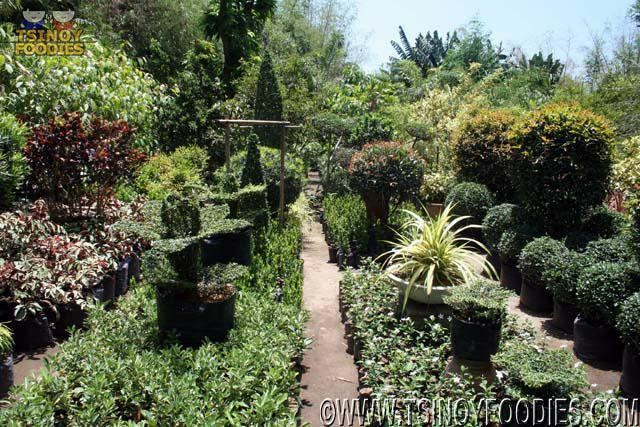 Other industries are burnay and slipper making in Vigan, furniture and statue making in San Vicente, mortar and pestle making in San Esteban, and bolo making in Santa. 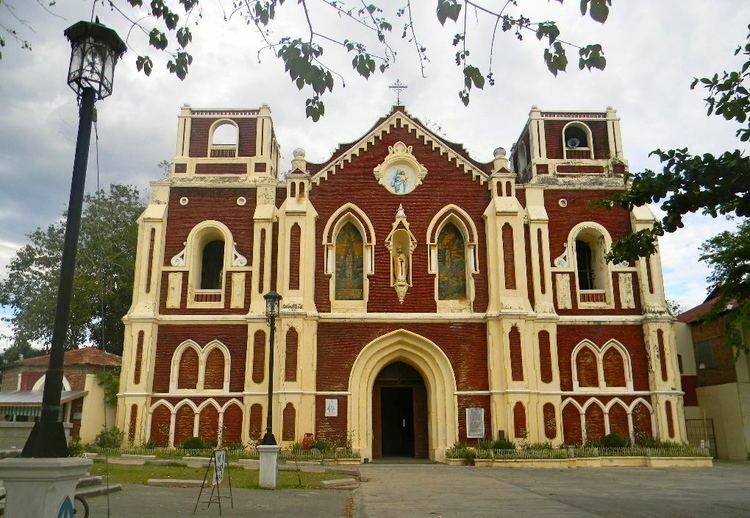 Ilocos Sur has 547 public schools including five general high schools, one university, one agricultural college and 56 private schools, 16 of which are Catholic. The Ilocos Sur Museum, founded on August 22, 1970, has a collection of cultural treasures which include art include paintings, centuries-old sculptures, pieces of carved furniture, and relics of Spanish European and Chinese cultures that had influenced Ilocano life for centuries. Chapters of Philippine history and religion are found in the Crisólogo collections which includes family heirlooms, centuries –old "santos", statuettes, ivory images, Vienna furniture, marble-topped tables, ancient-carved beds, rare Chinese porcelains, jars and jarlettes, lamps, Muslim brass wares, and Spanish and Mexican coins. The Syquia collections, including then President Elpidio Quirino's memorabilia, vie in quality with the Crisólogo collections. But in the midst of the fire scare in Vigan last year, the relics in the Syquia Mansion were transferred to Manila for safekeeping.